Still one of my favourite albums to work out to – X Marks Destination is a genius example of electronic music. I suppose one of the things I really like about electronic music is the buildup of beat, layering different sounds at a good momentum until all of the parts meld together into a delicious mix of dance music. All 30 interviews are finished! If you haven’t been following along – I’m referring to my thesis project. I have now officially completed all 30 object interviews and their accompanying stories, icons, and visualizations. Now comes the hard part – getting all of it onto the web. I can sense a long day of coding every single page into the framework of the digital version of the catalog. But at least the content is finished! Lately, I’ve been taking a lot of screenshots. They’re just handy for so many things! Being a designer, there are so many reasons for needing a low-res little png of my screen. Maybe I want to get the exact size of something for a web project, or maybe I love that colour and want to eyedropper it for a print project I’m working on. I do have one qualm with the way OS X handles screenshots, though. When I press cmnd + shift + 4, I get those little crosshairs and numbers to better shape the size of the screenshot. This is all well and good, but it’s certainly not as precise as it should be. For example, take the magnifying lens used to fix a text on an iPhone. That tool could be very easily implemented when taking a custom-sized screenshot. Talk about pixel-perfect. I love this little snippet of Processing code by p5art. 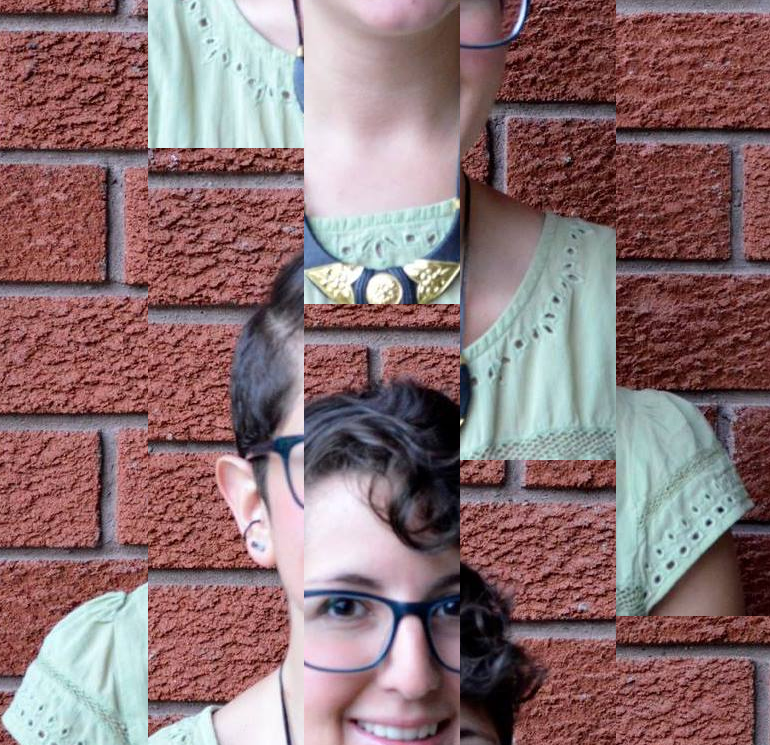 Chopping up photographs and pasting them in this weird, staggered way is really interesting. 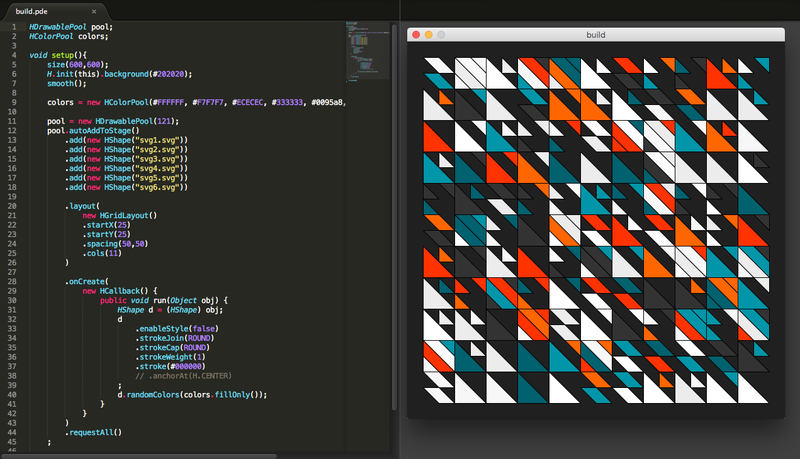 Not to mention, more generative art! It kind of reminds me of the dumb little glitch art project I did about a year ago. Check out the one I did with my face!